Excellent Condition. 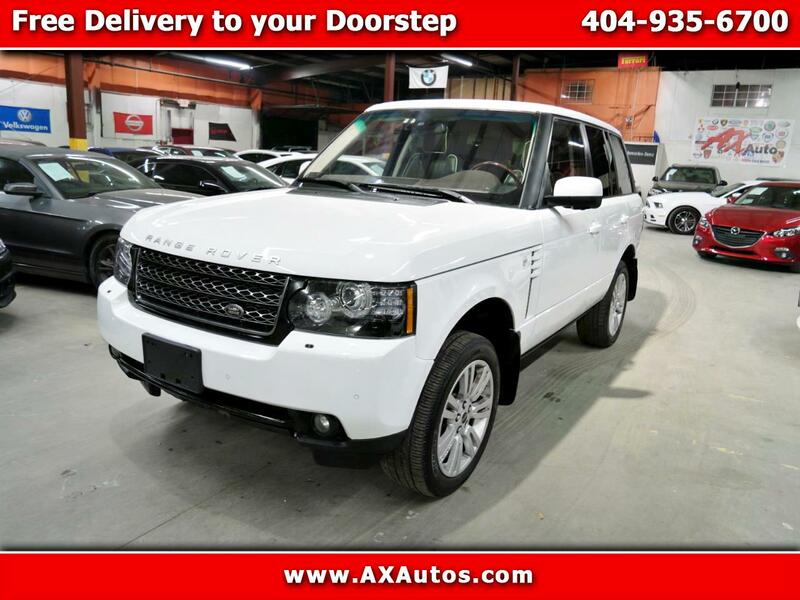 NAV, Sunroof, Heated Leather Seats, Back-Up Camera, Bluetooth, iPod/MP3 Input, Satellite Radio, Rear Air, 1200-WATT harman/kardon LOGIC7 AM/FM ..., FUJI WHITE, LUXURY INTERIOR PKG, 4x4, Non-Smoker vehicle AND MORE! Navigation, Sunroof, 4x4, Rear Air, Back-Up Camera, Satellite Radio, iPod/MP3 Input, Bluetooth, Keyless Start, Dual Zone A/C. MP3 Player, Privacy Glass, Keyless Entry, Steering Wheel Controls, Child Safety Locks. LUXURY INTERIOR PKG: 14-way heated/cooled pwr adjustable front seats, heated rear seats, premium oxford leather on seats, premium oxford leather on door pulls, premium oxford leather on center console lid, premium windsor leather on dashboard, 12 piece wood trim, auto-dimming exterior mirrors, luggage net, style 9 20 (7) V-spoke alloy wheels, 1200-WATT harman/kardon LOGIC7 AM/FM STEREO W/6-DISC CD CHANGER: (19) speakers, JET, LEATHER SEATING SURFACES, FUJI WHITE. Land Rover HSE LUX with Fuji White exterior and Jet interior features a 8 Cylinder Engine with 385 HP at 6500 RPM*. Non-Smoker vehicle.